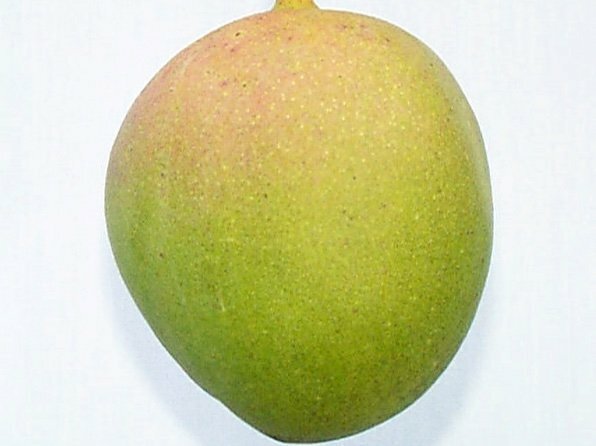 &QUOT;BEVERLY&QUOT; IS A GOOD LATE SEASON MANGO THAT CAN WEIGH UP TO THREE POUNDS. THIS SWEET CREAMY FRUIT IS FIRM, FIBERLESS, AND AROMATIC. ALL OF THIS ADDS UP TO A DELICIOUS MANGO WITH ABUNDANT FLESH AVAILABLE WHEN MOST CULTIVARS ARE THROUGH FOR THE YEAR. THE ONLY DOWNFALLS ARE ITS LACKLUSTER DULL GREEN COLOR AND THE TREE'S LOW SPREADING HABIT. THE FRUIT RIPENS FROM MID-JULY TO MID-AUGUST.